It's been at least 15 years since my last Computer Using Educators (CUE) conference. This week I came back to a bigger and better professional development program for educators. San Domenico technology facilitators Ryan Hopper, Kali Baird, and Dr. Doris Brown joined me for three days of learning fun. CUE is big! There were over 5,000 educators with us this week. Many of us had to wait over an hour in line to check in at the beginning of the conference which meant we missed most if not all of the first session. There were many sessions where there were just too many people to fit in the space provided for the presentation. It is exciting when you realize there are this many educators supported by so many schools and school districts wanting to train their teachers to integrate technology in their classrooms. It's bit daunting when you find that even the hall for the keynote presentation didn't have enough space for all the people to sit. They actually had live feeds into other rooms during Dan Meyer's opening keynote on Thursday evening. There is something very special about having an opportunity to join together with your colleagues to learn, collaborate, and develop technology skills. I met so many educators doing amazing things in their classrooms. Just to share one touch point from the week I'll leave you with a brief description of one lesson I learned from Kay Little and Sandy Patterson's workshop on iPad Projects for the 21st Century Classroom. Kay and Sandy teach in a public school in southern California. 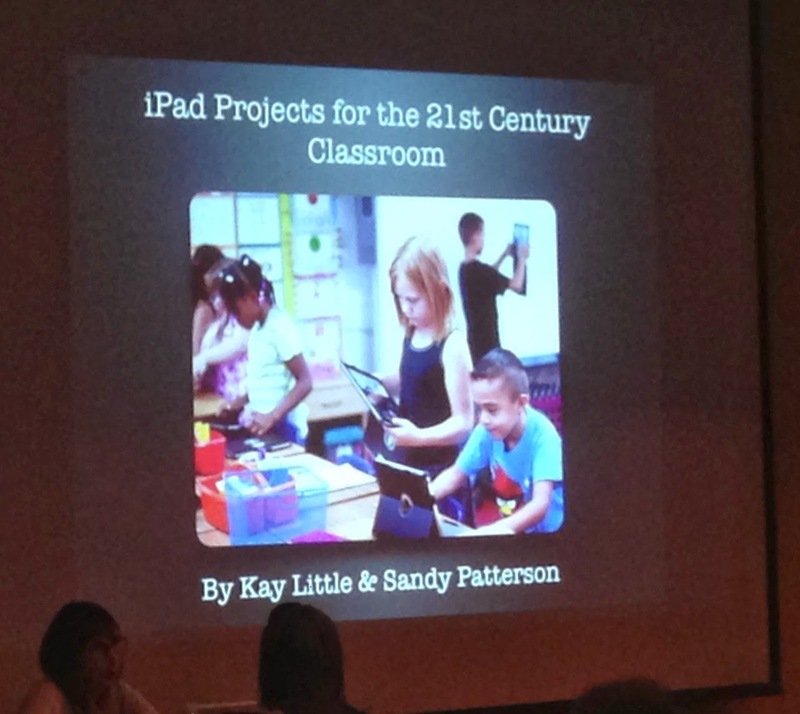 When their school went 1:1 with iPads in the second grade two years ago Kay and Sandy began developing classroom projects together. Today, Kay is a Teacher on Special Assignment who helps Sandy and other teachers learn how to integrate the technology in their classrooms. This is significant because it shows the importance of the holistic approach to technology integration. First the district and school decided that integrating iPads was an important step to take. Then they gave the teachers and students the tools while pairing these two teachers in the process of trying it out and seeing what works. Finally, after some failure and success, they decided that leadership and training were important to spreading the work throughout the school. I look forward to hearing more about their work as these two computer using educators expand into bigger and better things. 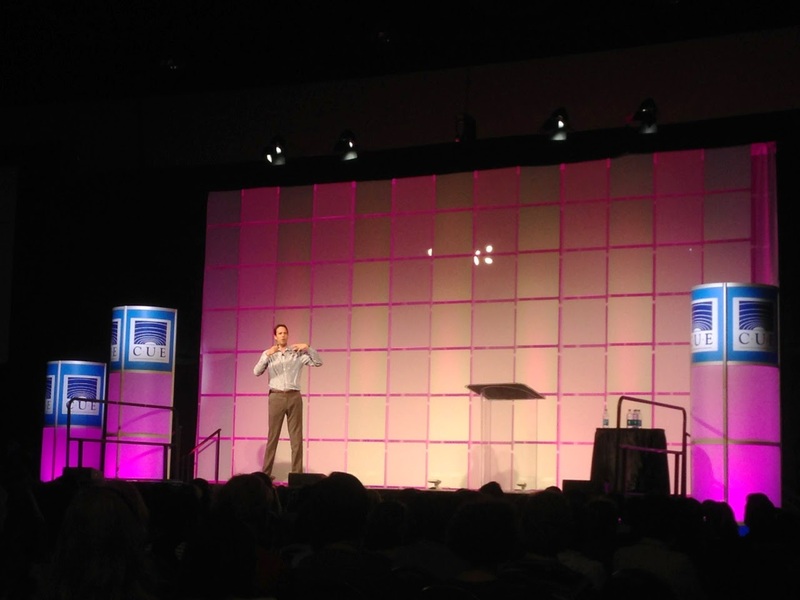 I also look forward to sharing more about what we experienced at CUE 2014. It was very good to be back!